We especially enjoy taking these on camping trips and cooking them over an open fire, but they’re just as easy to make in the oven. Enjoy! If using an oven, preheat to 350°F. Cut two 18x12-inch sheets of heavy-duty foil and lay flat. 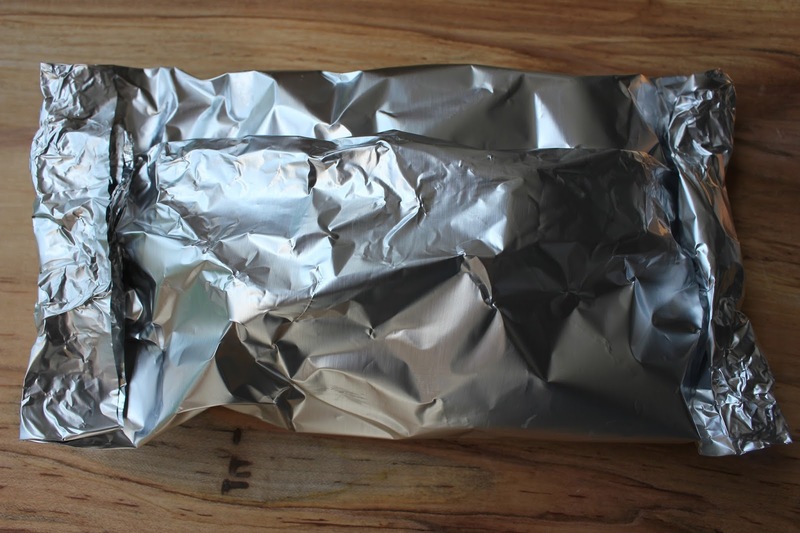 Divide the cut vegetables among the two pieces of foil, placing them in the center of each piece of foil. Season with salt and pepper as desired, then place 2 sausage links on top of the vegetables. Add a splash of olive oil to top it off. Fold the two long edges toward one another and fold over once or twice then crimp tightly. Fold and crimp each short end of the foil toward the middle so that the edges are all tightly sealed. For cooking in the oven, bake at 350° F for about 45 minutes. For an open fire or grill, cook for about 10-15 minutes each side, turning occasionally. Depending on your ingredients and how hefty you create your packets, your cooking time will vary. Let the packets cool slightly before serving. Carefully open the packets and serve. Any number of ingredients can be used in this recipe. Basic rules: oil, protein, veggies, spices, and a strong piece of aluminum foil!